Karl Taro Greenfeld’s essay "My Daughter's Homework Is Killing Me" provides an interesting insight into the amount of homework middle school students at an elite, competitive school are required to complete during the course of a week. It also provides an insight into the impact that homework can have on students and parents, and captures the ambiguous feelings that many parents have about the demands that schools place on their children. Greenfeld obviously values the education his daughter is receiving at the LAB school, so that even though she is required to undertake extremely high levels of homework that have her working well beyond a 13-year-old’s bedtime, and which sometimes leave her upset and exhausted, he doesn’t ever consider the option of a less demanding and competitive school. Instead, he tries to influence individual school teachers to reduce the amount of homework they set for their students, though with limited success. My colleague, Mike Horsley, and I wrote our book Reforming Homework: Practices, Learning and Policy so that teachers, parents, and students would have access to the research evidence on homework in a concise and readable form. We hoped that the book would provide the basis for discussions around the benefits and costs of homework and would help school communities to develop fair and reasonable homework policies based on research evidence. Effective school homework policies can go a long way towards limiting excessive homework demands on students; in particular, they can prevent a situation where teachers ignore or are unaware of the requirements of other teachers. What is the purpose of homework? Research has focused on the achievement benefits of homework, the extent to which homework assists in the development of self-directed learning skills, the impact of parental involvement in homework activities, and more recently, ways that homework can be made more motivating for students. In relation to achievement, meta-analyses of the research (see John Hattie’s book Visible Learning) show that the benefits for middle school students are weak, with only about 20 percent of students in grades seven to nine showing higher levels of achievement as a consequence of their homework. The benefits for high school students are greater but even then only about 45 percent of students show homework-related improvements in their achievement. Additionally, recent German research conducted by Ulrich Trautwein and his colleagues has shown clearly that, at the level of the individual student, spending more time on homework is associated with lower achievement outcomes. In relation to the development of self-directed learning skills, the research shows that homework can help middle school students to develop these skills. This has only been shown to be the case, though, when parents help their children to do such things as find a suitable place to work, set goals, manage time, and avoid distractions. In the studies by Lyn Corno and her colleagues, parental assistance with, and modeling of, homework management skills has been shown to be associated with higher student levels of these skills. Corno and her colleagues have argued that these skills have been internalized by the children through scaffolded interaction with parents. Parental involvement in their children’s homework activities can have beneficial effects, and this is likely to have been the case with Greenfeld’s discussions with his daughter about her humanities homework. Parental interest in, and valuing of, homework is likely to lead students to value the homework they do. When parents interfere with their children’s homework activities, however, or are over-controlling, parental involvement in homework can have detrimental effects on achievement outcomes. Homework can be made more motivating by giving students more autonomy in what they do and how they do it. This has been demonstrated in a study by Patall, Cooper and Wyn which found that students given a choice in their homework reported higher levels of interest, enjoyment and perceived competence than students not given homework choices. These students also had higher scores on unit tests than students not given choices. Some teachers do try to make homework more creative and do actively avoid boring and routine worksheets; for instance, teachers sometimes ask students to conduct interviews, experiments and surveys, investigate historical records, make films, act as video journalists, and create photographic and digital resources. How much homework should teachers assign? Decisions about how much homework should be required of students are difficult. There is no credible research evidence on which to base decisions about the amount of time that students should spend on homework. School communities therefore need to make their own decisions about homework requirements on the basis of a cost-benefit analysis of homework research and the values and mission of the school. What kind of homework is best? School homework policies should provide some guidelines concerning the nature of homework tasks and the degree of challenge they offer students. While some memorization may be unavoidable in certain types of learning, for instance, in language learning, there is little disagreement amongst learning theorists that deep learning with understanding should be the goal of all schooling. By extension, this should also apply to learning through homework. In Reforming Homework we’ve argued that while some practice of learnt material is beneficial for students, so too is some new learning which leads to cognitive growth. 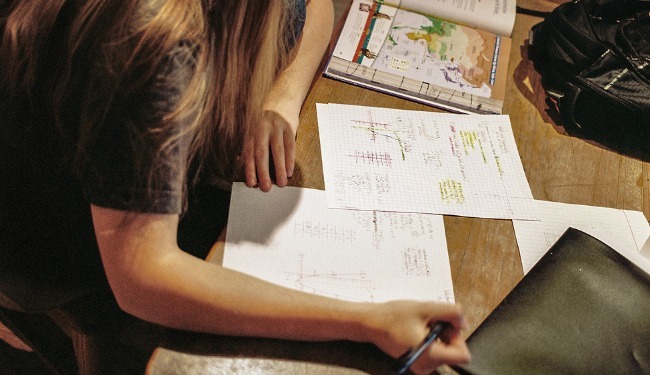 Homework research conducted in the United States and Germany suggests that high-quality homework is challenging for students but not overly demanding for them. How should teachers respond to their students’ homework? Of course, there are other issues which also need to be considered when evaluating the value of homework and which are not considered in Karl Greenfeld’s essay. Perhaps the most important of these concerns is the homework feedback that students receive from their teachers. Effective learning depends on the receipt of timely and useful feedback from teachers so that students can come to a better understanding of what they have learnt and, where appropriate, correct misunderstandings. Sometimes teachers do not provide this feedback to students; in the absence of effective teacher feedback homework is likely to be of little value to students. Richard Walker is an associate professor of educational psychology at the University of Sydney.